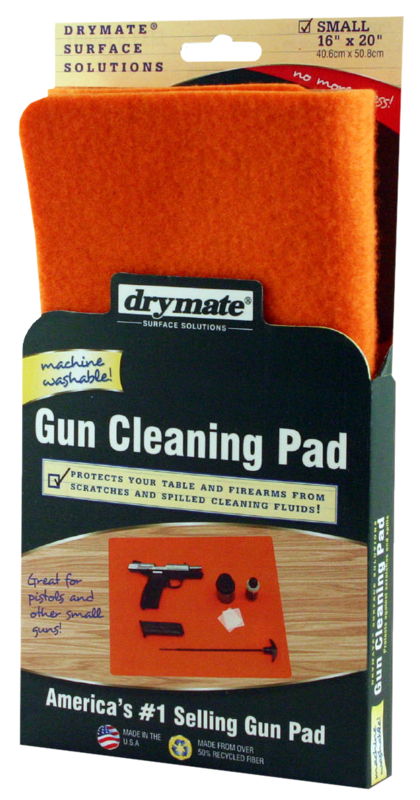 Drymate GPO1620 Gun Cleaning Pad Small Orange 16" x 20"
Home » Brand » DRYMATE (RPM INC) » Drymate GPO1620 Gun Cleaning Pad Small Orange 16" x 20"
Protect your firearms and surfaces from scratches and spills during cleaning with the Drymate Gun Cleaning Pad. Made of a soft, felt-like material, this pad will prevent scratches to your firearm while cleaning. Super absorbent with a waterproof backing, this mat contains spilled cleaners and solvents, keeping them away from your firearms and protecting surfaces below.